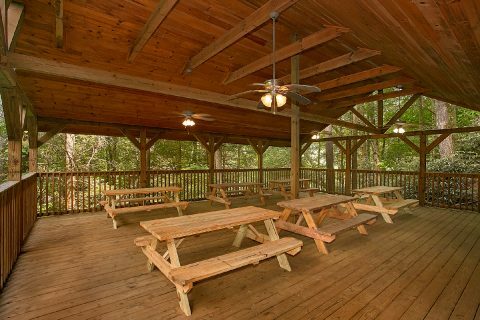 Searching for a great place to get away from it all? Simply reserve a few nights at "Reclusive Moose," a 2-bedroom cabin only a short drive from Downtown Gatlinburg and the Great Smoky Mountains National Park! 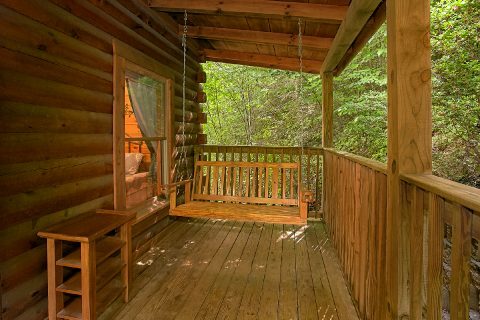 In fact, the upper level of this cabin features a view of Mt. 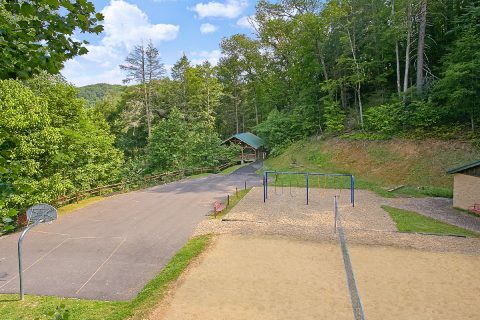 LeConte, the third tallest peak inside the national park. 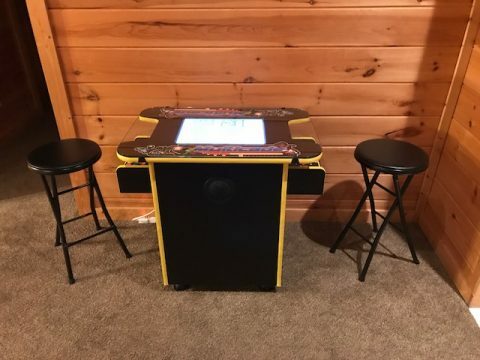 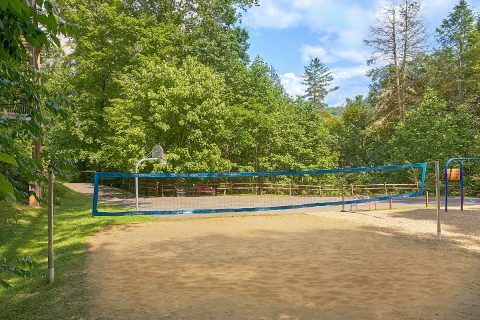 Furthermore, this rental is close to outdoor outfitters like Rafting the Smokies and the Smoky Mountain Riding Stables. 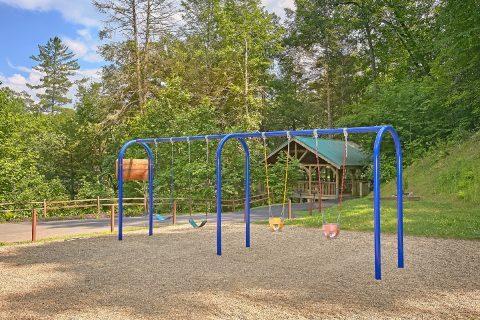 You can also explore the Cosby and Greenbrier areas of the park that are only a few minutes away. 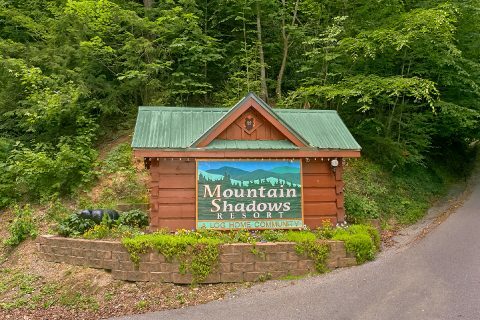 With lots of fun attractions in Downtown Gatlinburg like Ripley's Aquarium of the Smokies and Ober Gatlinburg, you'll never have a shortage of things to do during your stay! 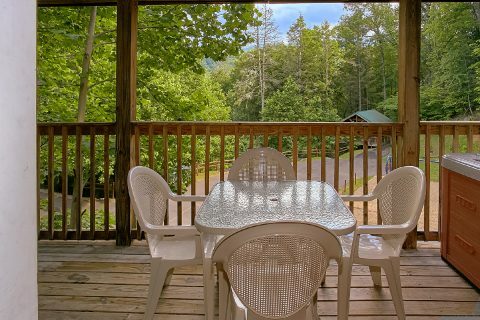 Better yet, this rental is close to a Gatlinburg Trolley stop that can bring you to attractions in downtown. 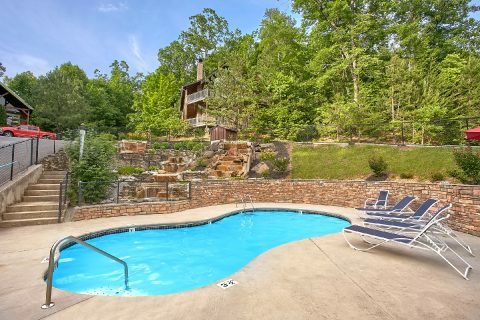 Since your cabin is located in the Mountain Shadows Resort area, you can enjoy seasonal swimming pool access! 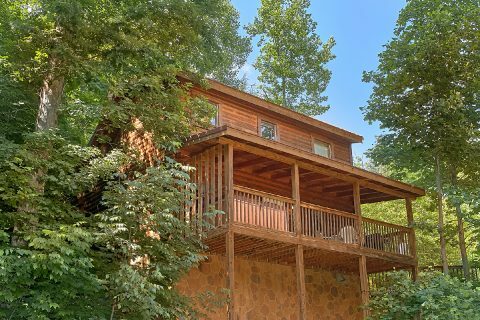 With 2 bedrooms and room for up to 6 guests, this rental is a great choice for a small family vacation or a getaway with friends. 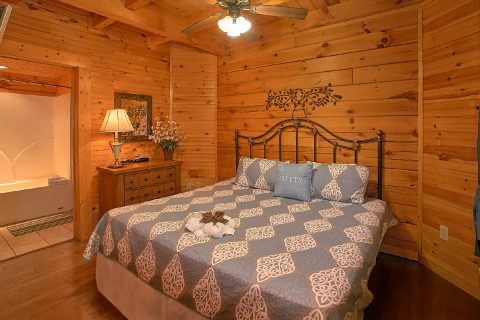 Both of this cabin's bedrooms come complete with comfortable king-size beds. 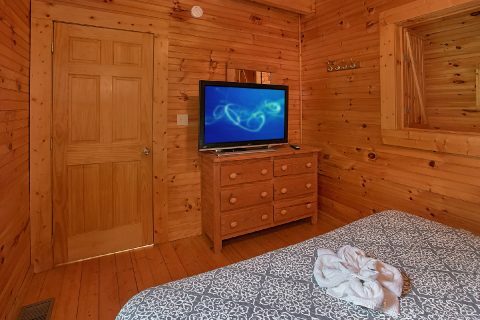 For enjoying a laid-back movie night on your vacation, this cabin comes with equipped with a large, flat-screen TV in the living area. 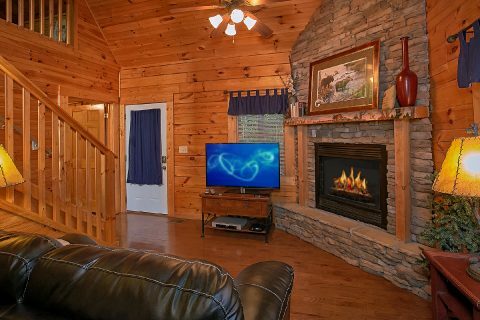 There's also an extra sleeper sofa with a flat-screen television in the upstairs loft. 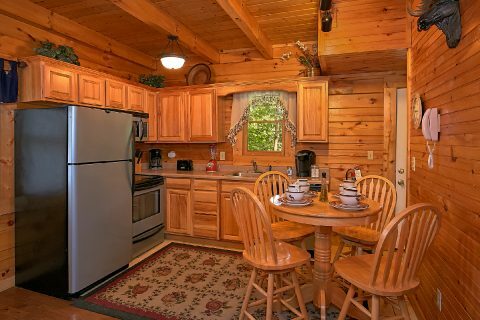 This cabin also features a full kitchen that makes it easy to enjoy delicious dinners in the comfort of your cabin. 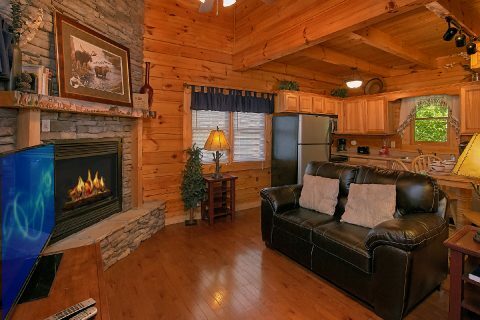 Better yet, this rental is a truly affordable place to stay. 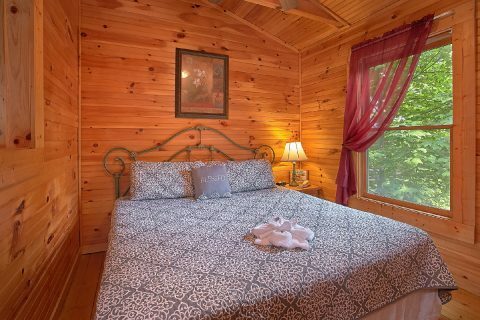 As an added perk, this cabin rental comes with a special 15% discount! 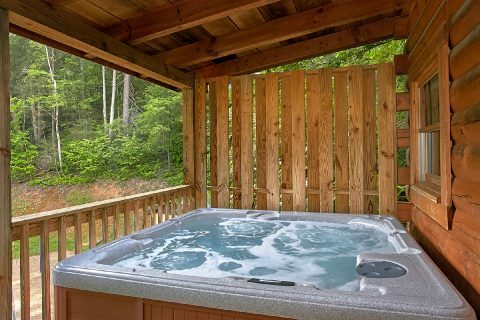 Book "Reclusive Moose" today to start planning your affordable trip to the Great Smoky Mountains of Tennessee!